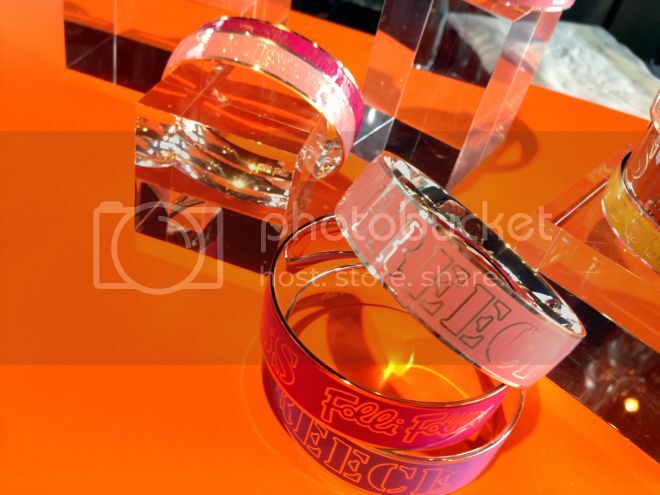 Folli Follie is another brand i'm beginning to love now, and the love started to happen yesterday after I went to check out their "It Girl" SS13 collection. The bright colours and sparkles caught my eye right away, I was just constantly saying, "I love that and that and um....that too." The iconic Heart4Heart collection presents some new designs this SS13, in full pave or empty hearts with clear or champagne crystal stones in silver or rose gold plated stainless steel. Greece is Bliss collection is all about simplicity, bright colours and pure-fun. I highly recommend the Match & Dazzle Collection to you guys, you must check it out. 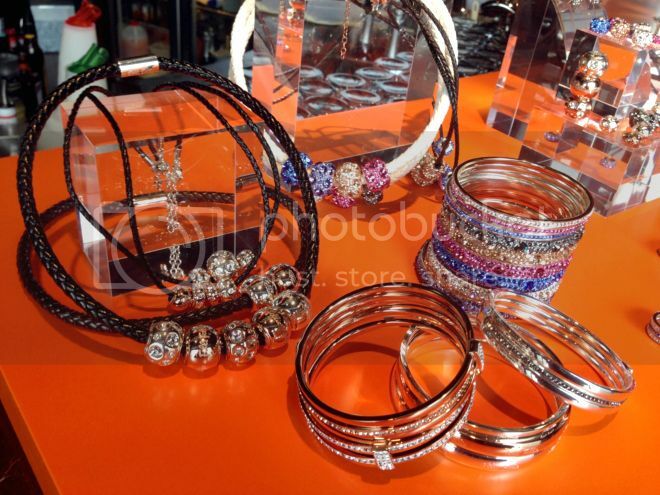 This colourful collection includes bangles, earrings, rings, beads and many more. What's cool is that you can mix and match and create your own jewellery. They have these thin sparkly bangles and ring bands where you can wear on it's own or you can insert it into the plain bangle/ring to jazz it up a bit. 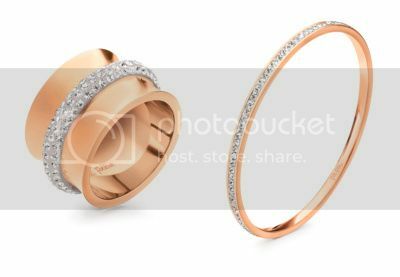 At the preview I tried on the rose-gold plated ring above (Dazzling Collection) and fell in love with it, i'm definitely going to add that to my jewellery collection soon. 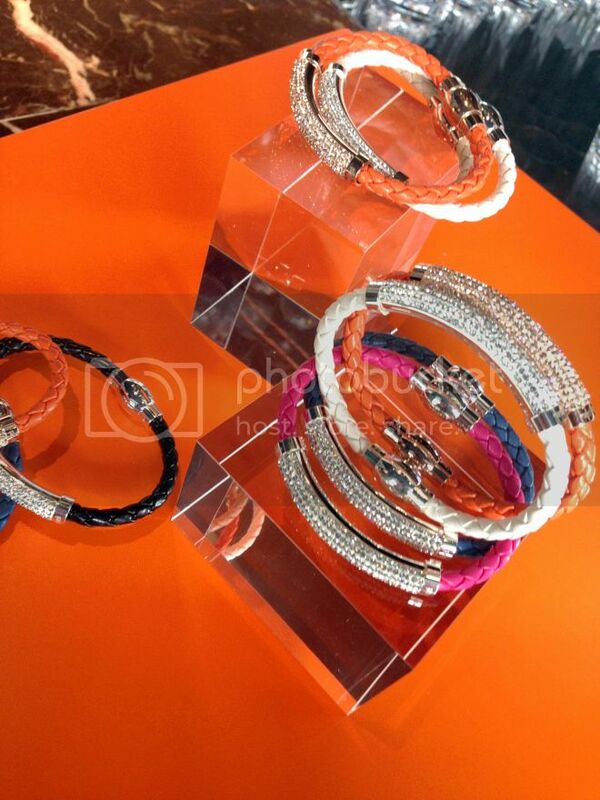 I'm also going to buy the bangle above (Match & Dazzle Collection) too, but not for myself it's for my mum. PS: The winners of the giveaway are: Laura Cagalj, Xenoula and Laura. Everyone who took part will get a 10% discount code as mentioned before. Congratulations an email will be sent out to you guys next week. Thank you for taking part. Wow the ring in the last photo is GORGEOUS!! 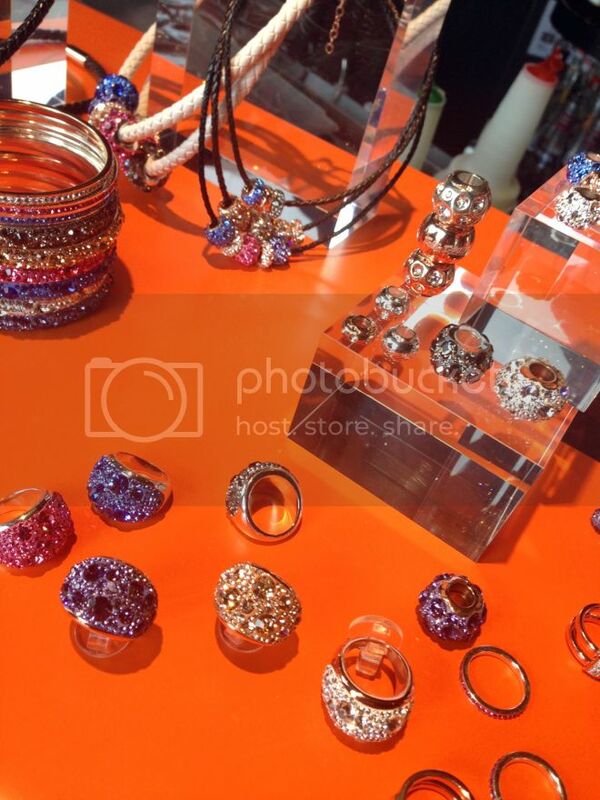 Really nice acessories, loved them! Wow, thank you very much Meekay!! Congrats to my namesake Laura and Xenoula! omgosh those rings look amaazing! Wow I love everything!so amazing colors and all glitter! Those pieces are so gorgeous! 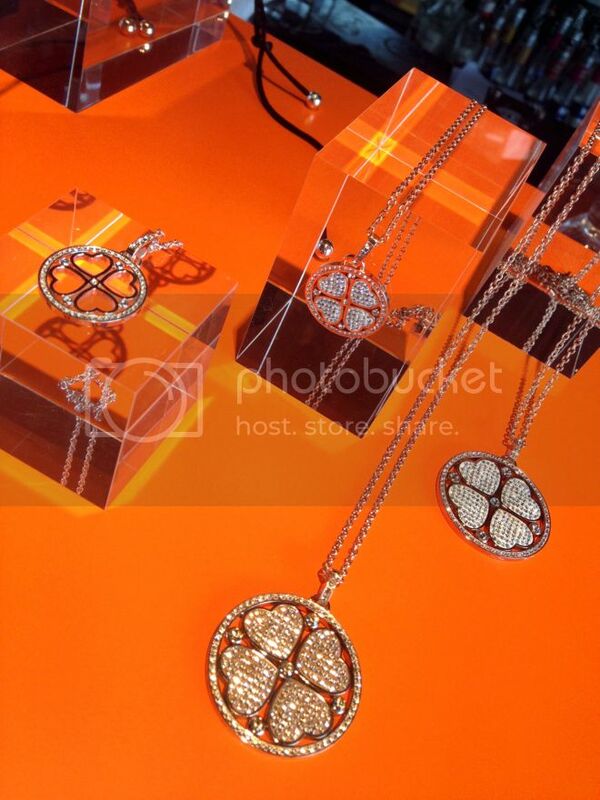 Beautiful pieces of jewellry. I love your blog :) I hope to move to China within the next 2 years and do something simular to you - blog from abroad!